When your cancer treatment includes chemotherapy, you may find that that suffer from peripheral nerve pain. This side effect of chemotherapy is an area of expertise for Dr. Yvonne Ortega, and her team at the St. Luke Integrative Medical Center. Using state-of-the-art techniques, they are passionate about helping you find relief. If you would like to explore possible treatments for your chemotherapy-induced peripheral neuropathy (CIPN), call or book your appointment online at our Huntsville, Alabama, office today. Chemotherapy-induced peripheral neuropathy (CIPN) is a condition of cancer patients who have received chemotherapy as part of their treatment plan. This unfortunate side effect can cause significant nerve-related issues both during and after you have received your chemotherapy treatment. This condition is caused by damage done to the peripheral nerve endings and fibers as a result of the chemotherapy. These cancer drugs can damage nerve cells that travel the length of your body, from your spine all the way to your fingers and toes. When these nerves are damaged, you may have a number of issues, ranging from mild pain to lack of muscle coordination. What are the symptoms of CIPN? The symptoms of chemotherapy-induced peripheral neuropathy (CIPN) are dependent on the type of chemotherapy received as well as the type of nerves and the specific nerve fibers that are damaged during your cancer treatment. Symptoms may differ if the damaged nerves are motor or sensory. Motor nerves are responsible for coordinated movement of your muscles, and sensory nerves are responsible for messages associated with touch and feeling. These symptoms may be significant and may need treatment to avoid getting progressively worse. How can CIPN be treated? 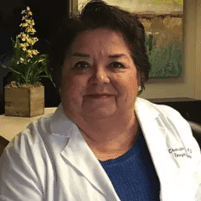 Dr. Ortega is a leading practitioner in the treatment of peripheral neuropathies, using revolutionary treatments that help to regenerate the damaged nerves, and thus decreasing associated symptoms. Using state-of-the-art regenerative technologies, she utilizes umbilical stem cells to repair and regrow healthy nerve tissues. This regrowth protects the exposed and damaged nerves, allowing a return of natural conduction and function to the tissues and muscles around the nerves. The team at the St. Luke’s Integrative Medical Center is committed to providing noninvasive, nonsurgical, and non-medicinal solutions to your nerve pain. If you would like to explore possible treatment options of your CIPN, including the use of stem cells, call or book your appointment with Dr. Ortega today.